2003. 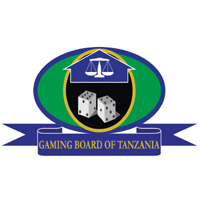 Its main functions are to oversee, monitor, and regulate the conduct of gaming activities in Tanzania. 2) Develop and maintain data base of gaming licensees. 3) Conducts regular reviews of the gaming legislation. 4) Attends to dispute resolution. 7) Formulates legal defense and prosecution for cases involving the Board. 11) Performs other relevant duties as may be assigned by her/his supervisor. Applicants should be holders of Certificate of Secondary Education Examination, Class'C' Driving Licence and Trade Test Grade III. Applicants should have a driving experience of not less than three years. Holders of VIP Driving Certificate will have added advantage. 2) Ensures that vehicle assigned to him/her is maintained, serviced regularly, kept clean and parked at a safe place. 3) Reports any defects in the vehicle assigned to him/her. 4) Attends any minor mechanic fault and report promptly on any detected fault. 5) Sending vehicle for service when due. 6) Records all movements of Board's vehicles in designated logbooks and maintain such records in the manner required by the Board. 7) Dispatches outgoing mails and other documents. 9) Performs other duties as may be assigned by her/his Supervisor. 4) Names and addresses of three referees.